Bob really tried to understand what the special circumstances were and tried to satisfy both me and my neighbor and he did it. I've recommended them more times than I can recall. They're fast and efficient. I believe they did the best fencing job I've ever had done. They're fantastic. They got the job done in one day and they have an amazing price. I trust Bob implicitly. I know he'll do quality work for a fair price. He has so much integrity. I've had 3 wonderful experiences working with this man, and I'm looking forward to having more in the future. I really trust that he'll do a quality job. He just dives right in there and does the work. He goes above and beyond his call of duty. 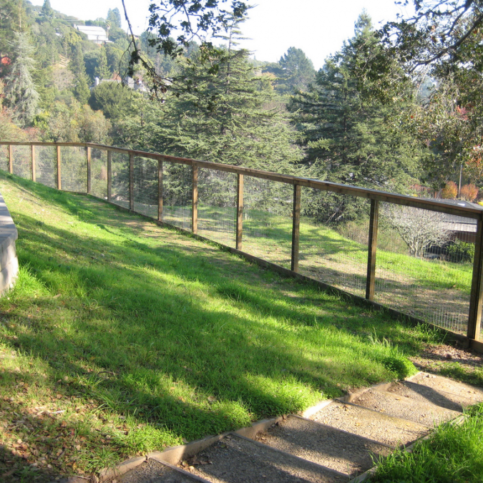 California Fencing builds and installs fences, decks, and retaining walls for residential clients throughout Marin County. 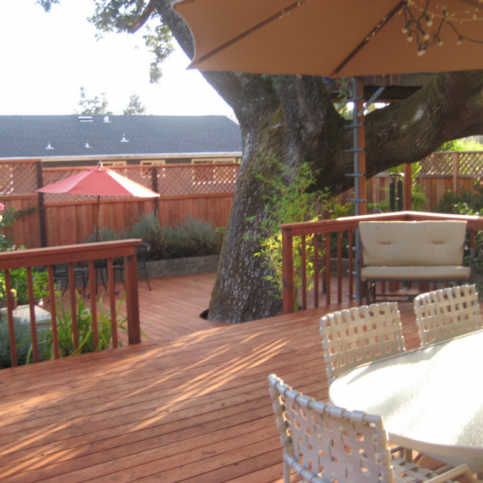 The company works with a variety of natural and composite materials (including redwood, cedar, Ipe and Trex), and its wide ranging experience with fence and deck designs allows it to customize each product for the homeowner’s specific needs. 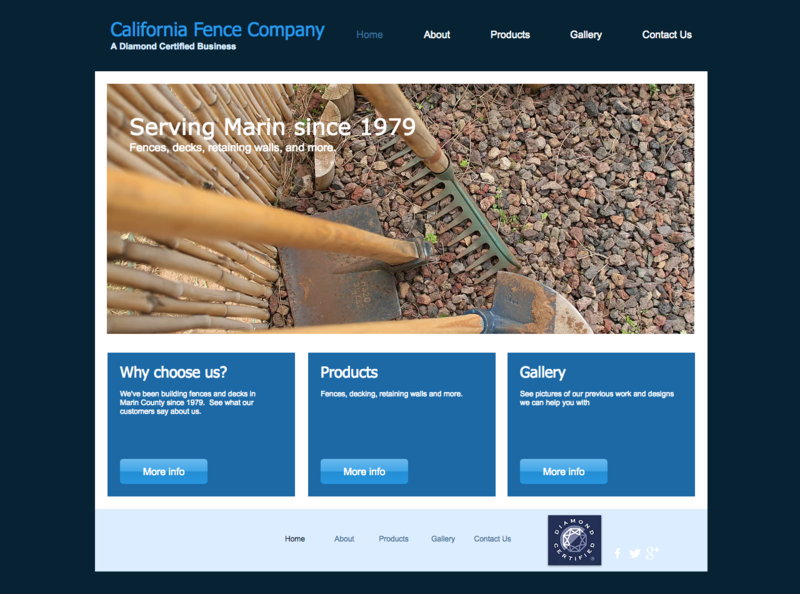 California Fencing’s website, www.calfencing.com, features an extensive photo gallery that showcases many of its recent fence, deck and retaining wall projects so potential clients know exactly what to expect. “When people see the finished products we have on our website, they get a real sense for the quality of our work,” affirms Mr. Easley. 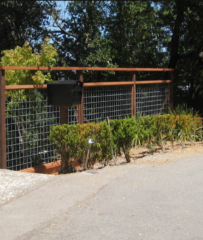 California Fencing has been building and installing fences, decks and retaining walls for residential clients throughout Marin County since 1985. The company works with a variety of natural and composite materials (including cedar, redwood, Trex and Ipe), and its comprehensive experience with fence and deck designs allows it to customize its products for homeowners’ specific needs. Before your fence project begins, ask your contractor if it uses pressure-treated wood for its fence posts—they’re chemically treated to resist damage caused by water and insects, so they’ll work as efficiently as possible once they’re in the ground. Also, once wood has been pressure-treated, it doesn’t need to be sealed because it has already been injected with preservatives. Q: How soon can you start building my fence? A: We can usually start working within two weeks of your initial call. Q: How long will it take to build my fence? A: On average, it takes us about three days to build a fence. If the job is particularly large, it can take longer. 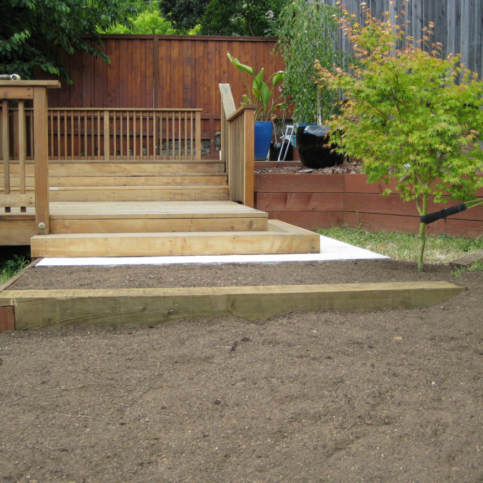 A: We mostly use all-natural materials, but we can also build decks out of composite materials if you’d prefer. We hand-select all our wood at the lumber yard instead of having it delivered, which makes it easier to control the quality. 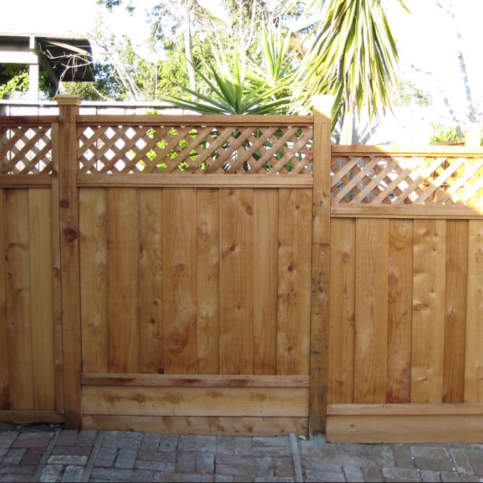 Our fence posts are made from pressure-treated material, and we mainly use heart redwood for the rest of the fence. For decks, we use redwood, cedar, ripe hardwood, South American wood and composites like Trex®. Q: Do I have to buy the materials or do you handle that? A: We’ll buy all the materials. Since we regularly deal with such large volumes of material, we can often get lower prices than our customers are able to get on their own. Q: How big does my fence need to be to keep my dog safe? A: About 80 percent of our customers are pet owners, so we know how to keep dogs properly contained and can advise you on the specifications needed to safely keep your particular breed of dog in your yard. We’ve never lost a dog over or under a fence that we’ve built. Q: If you build a retaining wall on my property, will it meet local regulations? A: Absolutely. Everything we build conforms to the regulations in that particular area. Bob Easley is owner of California Fencing, a Diamond Certified company since 2013. He can be reached at (415) 689-6024 or by email. A resident of Novato (where he lives with his wife, Debra), Bob spends the bulk of his free time recuperating from his demanding livelihood. “By the end of the week, I’m usually pretty wiped out, so I like to spend my weekends resting and relaxing,” he says. “If I have the energy, I’ll play a round of golf or do something with my family. Debra and I have two grown kids and a three-year-old grandson, so we enjoy spending time with them.” Bob also enjoys traveling on occasion, whether to nearby spots like Lake Tahoe or international destinations like Europe. A: Il Davide in San Rafael. Q: What’s your favorite type of tree? 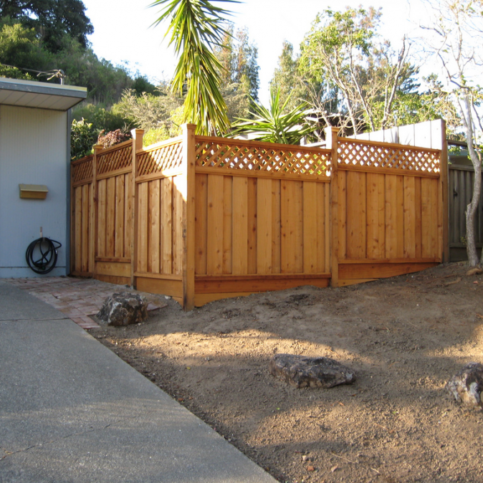 Do You Really Need to Stain Your Redwood Fence? 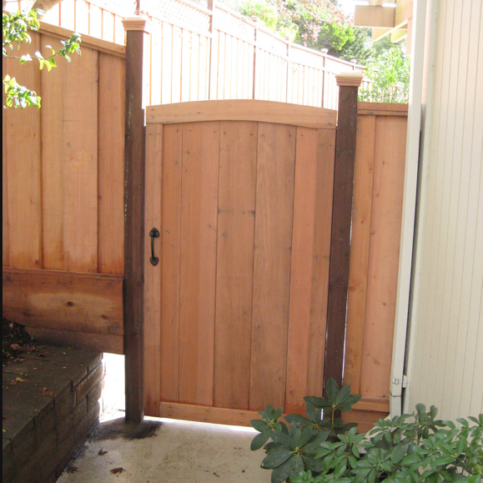 SAN RAFAEL — Many homeowners stain their redwood fences because they think it will preserve the wood and extend the fence’s lifespan, but this is a misconception. The reality is stain has a purely aesthetic function that doesn’t affect the integrity of the wood. Fortunately, redwood doesn’t even need a preservative—the natural tannin it contains enables it to resist the effects of weather, moisture and insects without the aid of auxiliary sealants. If you do choose to stain your redwood fence, you’ll want to restain it every five years to maintain the desired coloration. If you choose not to stain it, the wood will eventually take on a grayish-brown color, but it will still look nice and have the same structural integrity. 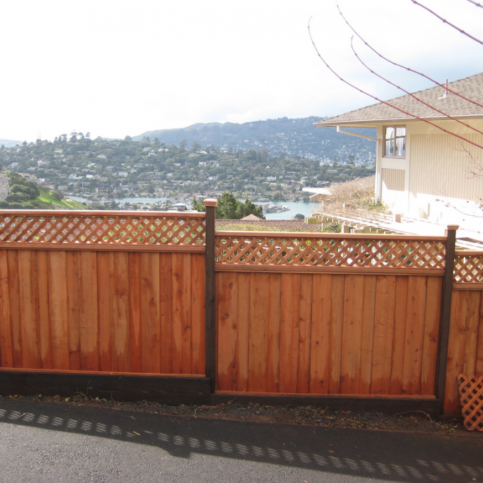 Video: Should You Stain Your Redwood Fence? 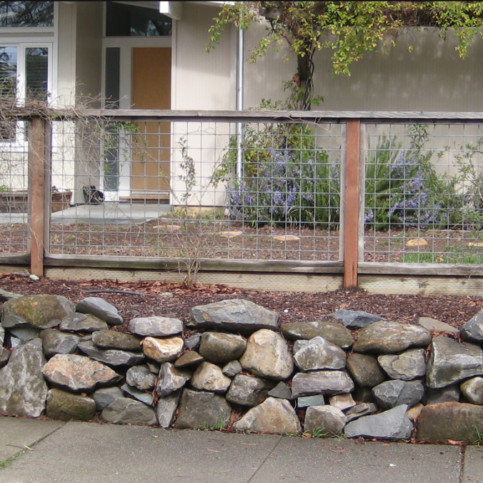 SAN RAFAEL — Host, Sarah Rutan: Many homeowners stain their redwood fences, but is this always necessary? 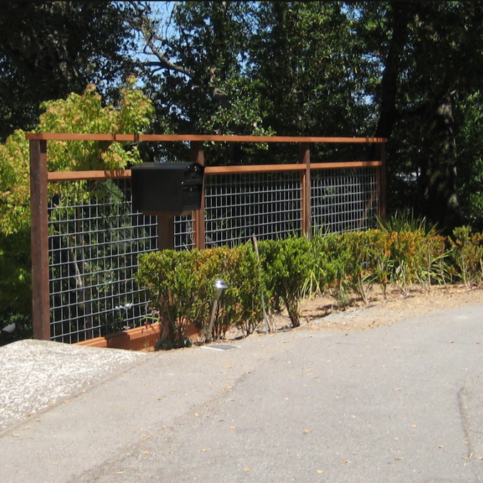 To find out, we’re in San Rafael with Diamond Certified Expert Contributor Bob Easley of California Fencing. Diamond Certified Expert Contributor Bob Easley: The question we’re commonly asked is, “Should we stain?” And it sometimes depends on the level of material that you’re using. If you’re using a real high quality clear redwood, and it’s in your front yard, 85% of the time, they’re going to stain it. And it’s going to bring out the beauty of the wood. Now, if you’re in your backyard, and it’s kind of reversed where you’re still using redwood, but it’s not the clear redwood, 85% of the time, the people don’t stain because they don’t want the hassle of having to come back and stain it every five years. California Fencing : Average 9.6 out of 10 based on 83 unique customer surveys of customer satisfaction. I would recommend them. I have in the past, they do great work, get all the right permits that are needed, and they do things correctly. They knocked on the door to confirm something before they built it. The crossboard on the fence could have gone on one side or the other, so they confirmed. That he does an excellent job, he sticks by his estimates, and he is on time and he does a good clean-up at the end. They give fair prices and they stick to them. I would tell them that the quality of work is fine and they are neat. They are clean and respectful of your property and they are on time and the job was bid properly and done according to the bid. I like that he does his best to stick to the original estimate. The work was done very efficiently. They stayed on track with everything. The work looks amazing. Today, I told someone to use them. Their quality of work was top-notch and they used quality materials and they were just very thorough and I was very happy with them. They were fast and they could start right away and good quality work and they had competitive prices. I thought they were very professional and hardworking. I would highly recommend them. They do great work. The fences look great, very good work. When Robert gave me a bid, he stuck to the price. They are a good quality company. They are prompt, they pay attention to detail and listen well to the homeowner. I highly recommend them, great guys. I can't mention anything right now. I tell people that they are trustworthy, honest and clean up nice. Trust, and they did a wonderful job, great construction work. The company staff is very personable and they get the job done. Robert comes across as being very honest.